The Commission on Unauthorized Practice of Law is a commission of the Nebraska Supreme Court. The “practice of law” is the application of legal principles and judgments to specific circumstances to resolve a problem or decide how to proceed under the law. Practicing law requires special skill and knowledge. The Nebraska Supreme Court sets the standards and authorizes a person who possesses these special skills and knowledge to practice law. The Supreme Court defines the practice of law in its Rules Governing the Unauthorized Practice of Law. The Supreme Court authorizes lawyers to provide legal services. It also authorizes certain nonlawyers to provide limited legal services. In addition to court rules there are state and federal laws that authorize nonlawyers to provide certain legal and lawrelated services. There are also court decisions that have held that certain legal and lawrelated activities by nonlawyers are not the practice of law. A person who provides legal services, who is not a licensed lawyer, or who is not otherwise authorized by law to provide legal services, may be engaging in the unauthorized practice of law (UPL). In Nebraska UPL is a crime. UPL is illegal because of the harm people may suffer if they get bad legal advice. Nonlawyers may be untrained and inexperienced in the law. They are not officers of the courts, are not accountable for their actions, and are not prevented from using the legal system for their own purposes to harm the system and those who unknowingly rely on them. It is not UPL for a person to give general information about the law or legal procedures to another person. A person may represent himself or herself in court or any other legal proceeding. How do I file an unauthorized practice of law complaint? 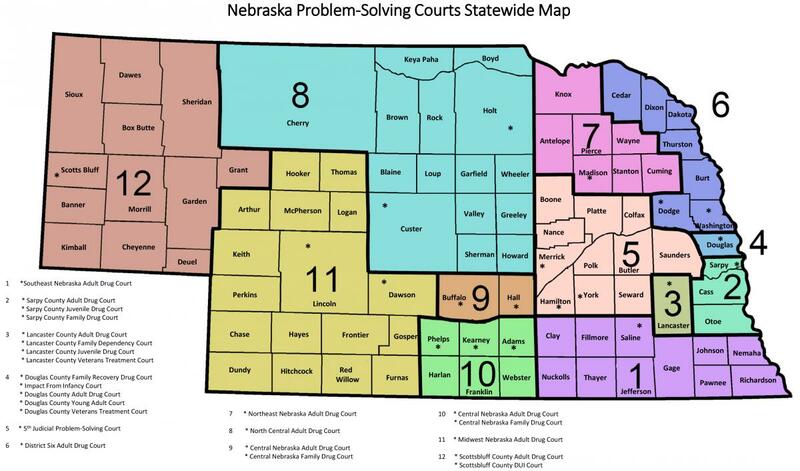 You can file a UPL complaint by completing the UPL Complaint Form or by contacting the Nebraska Commission on Unauthorized Practice of Law at the location listed below. When completing the complaint form, try to explain the problem completely and write legibly. The Commission should have as much information as possible so it can determine how to move forward on your complaint. When sending your complaint, include copies of any payment, receipts, court papers, documents, letters, or other relevant materials. Don’t send original documents; they will not be returned to you. The Commission, through its Counsel on UPL, reviews every complaint to see if it has the authority to investigate the problem. If it does, the Commission will begin to investigate your complaint. In an investigation, you and the person you are complaining about will be interviewed and asked to provide information or documents related to the complaint. The Commission may also investigate in other ways as appropriate to completely understand the problem. No. There is no charge to you for filing a complaint. Commission members donate their time as voluntary public service and all other costs are paid by the Nebraska State Bar Association. What kinds of actions can be taken against someone who is not authorized to provide the legal services I received? After the Commission receives your complaint and determines that it has the authority to investigate the complaint, it will begin a formal investigation. As a result of that investigation, there are several things that could happen. The Commission may determine that the person you are complaining about did engage in the Unauthorized Practice of Law (UPL) and that the activity is likely to continue. If that happens, the Commission may ask the person to agree in writing to stop his or her activities. If the person does not stop his or her activities, the Commission may refer the matter directly to an appropriate law enforcement agency, or the Commission can ask the Supreme Court to order the person to stop the conduct. The Supreme Court can issue a civil injunction against the person or can hold them in contempt. You do not cooperate with the investigation. The Commission may also dismiss your complaint for other reasons. The Commission will give prompt attention to your complaint. You will be given information about the progress. Every attempt will be made to handle your complaint in a manner that is fair to both you and the person you are complaining about. Any information you provide to the Commission will be given to the person you are complaining about. That information may also be given to other people that are allowed to see it. If the Commission decides to investigate, the investigation and resolution of the matter will take some time. If the Commission decides not to investigate this matter, you will be notified. The Commission will provide you with written notice when it makes its final decision about your complaint. The Commission is NOT your lawyer. If you believe you have been harmed by someone else’s actions you should contact the police or a lawyer. Time may be important, so do not wait to protect yourself. Do not wait for the Commission to complete its investigation. Your complaint will not be resolved based only on the information you provide. The final decision will be made based upon information received from many sources during the full investigation. The Commission cannot recover any money you may have paid or lost. What about confidentiality and immunity? All complaints and all information received by the Commission on UPL will be kept confidential unless they are required to be released to authorized people. If you make a complaint to the Commission, you are immune from suit for all information you give to the Commission or its staff.